It’s never a bad idea to use energy-efficient lights, but a quick search for a compact fluorescent lamp (CFL) can show far too many different types of CFLs to make the selection easy. One of the most notable differences the type of base used by each bulb. In fact, the standard screw-in bulb you’re looking for is the minority when it comes to base types on CFLs. Commercial CFLs don’t typically find their way into homes, but for the new shop owner or the rare occurrence of a commercial CFL in a residential building, you’ll find a strange socket that’s unlike the typical housing bulbs you’re used to. 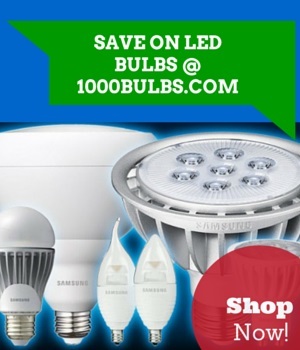 Let’s unpack the differences so you’ll be ready to get the right replacement bulb if you find yourself here. Let’s start with what’s most familiar. Fluorescent lamps have been around for a very long time, but CFL lamps designed to be used in small household fixtures are a fairly recent invention. Traditional fluorescents require a ballast that carefully controls the voltage running through the lamp. These bulky devices can be expensive and should be installed by a licensed electrician. Moreover, a ballast makes it very difficult to simply replace burnt out bulbs in a house. Enter the self-ballasted (or integrated) CFLs. Self-ballasted lamps solve these issues by including a small ballast inside the bulb so they can be inserted into standard fixtures just like any regular screw-in incandescent. The bonus is that they’re more efficient than an incandescent and much cheaper than an equivalent LED bulb. Not to mention the fact that you get omni-directional lighting, just like an incandescent. Plug-in base CFLs have 2 or 4 pins mounted to a tiny plastic base. On this tiny plastic base, you may notice a small plastic block between the pins. The presence, or absence, of this block and the spacing and number of pins on the base are all designed to prevent plugging in the wrong CFL to the wrong ballast. Plug-in CFLs are useful in commercial lighting designs because the external ballast gives them flexibility in application. A dimming or backup battery ballast can give an extra control feature to standard lighting that isn’t present in standard screw-in or GU-type bases. Even with this added flexibility, external ballasts can only drive certain types of lamps. Installing an incorrect lamp can shorten the life-span of the lamp or cause excessive flickering. Many times, the light won’t even turn on to begin with. Since they require more effort than a standard bulb, plug-in base CFLs are usually found in commercial lighting like recessed lights or even as emergency lighting for path lights or exit lights. So that explains why many CFLs have such a varied array of available sockets. In the end, it’s to simplify a safe way to replace burnt out bulbs. If you have any questions about CFLs you want answered (or you’ve found lamp with a connection you can’t identify), feel free to contact us with a comment below or through Facebook, Twitter, Google Plus, LinkedIn, or Pinterest!